February is a month of love and also for another reason, this month is very special for me. It’s my baby’s birthday month. Yes! We are going to be celebrating our little heart’s first birthday. Can’t believe how time is flying by. Anyway, in today’s post, I am going to share with you, my baby’s current skin and hair care essentials. 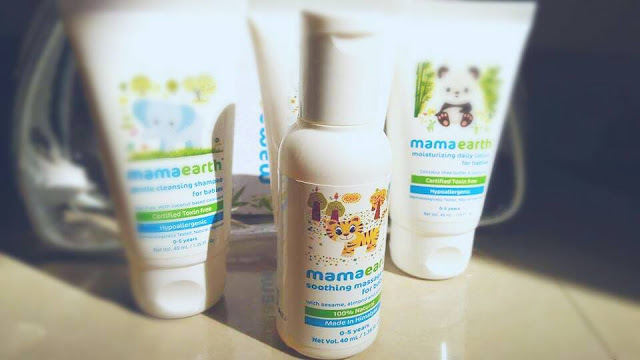 Recently I received Mama Earth travel essentials kit for babies from the company and their products are really good in the sense of packaging and quality. Mama earth products are toxin free. They also contain no artificial fragrances. 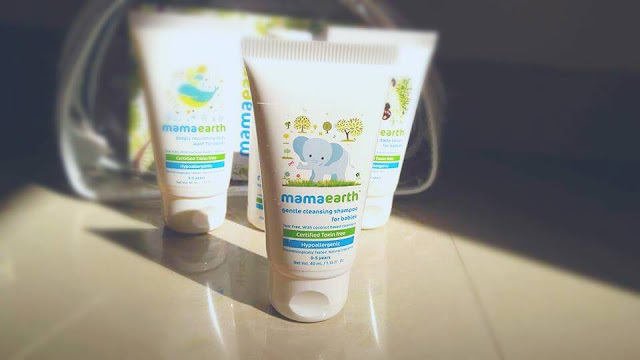 These products contain safe and natural ingredients that are really good for our babies. These clinically tested products are totally chemical free. 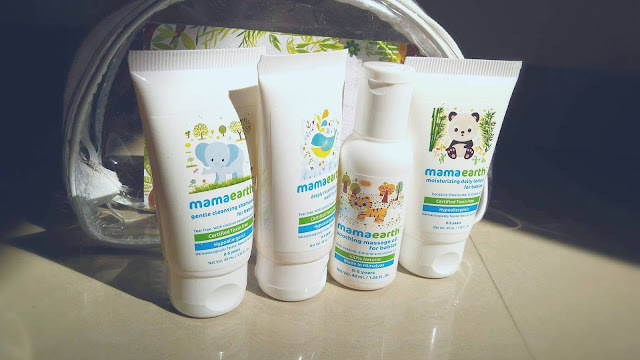 The baby products which I have already started to use are a baby wash, moisturizing daily lotion, soothing massage oil and gentle cleansing shampoo. So let's start with Soothing Massage Oil. The oil itself is a gentle formulation with pure almond, sesame, jojoba and olive oil that leaves baby’s skin softly nourished without any greasiness. The massage oil has no synthetic fragrances or dyes. Next is the Deeply Nourishing Body Wash which is the product I was most excited. Last 11 months, I did not use any soap or body wash for my boy. I always thought which body wash would be good for the skin of my baby. This product seemed to solve my problem. This is a 100% toxin free bubbling wash and it's clean skin very nicely without drying it out. This is the most beautifully fragranced body wash, which smells exactly as baby products should. It’s really wonderful. Next one is the Moisturising Daily Lotion. This moisture made of 100% plant-based ingredients like Shea Butter, Aloe, Vitamin E and Jojoba oil. I personally love how smooth it feels when I rub it in his skin and the lotion absorbed very quickly into his skin. This lotion has a very little fresh scent. Finally, let's talk about the Gentle Cleansing Shampoo. This one of the best gentle toxin free shampoo which I did not use before for my baby. The shampoo does not to irritate his sensitive eyes. It effectively cleanses the scalp, makes hair soft and also easy to wash. 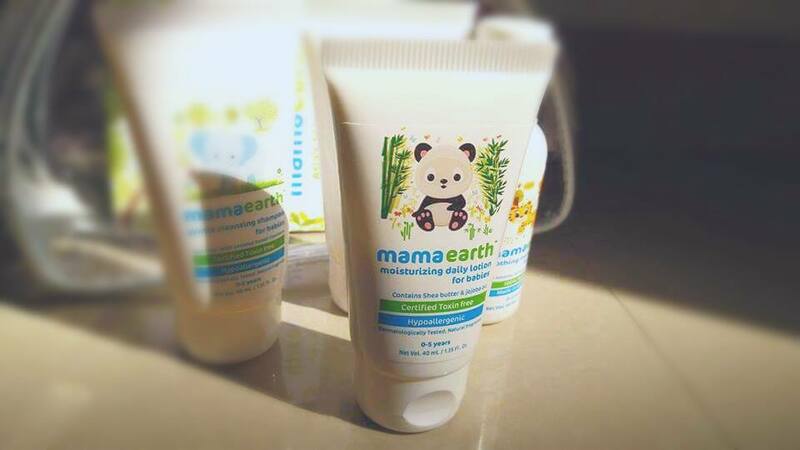 Overall, I'm very happy for that I have been able to introduce to my baby with toxin-free products. 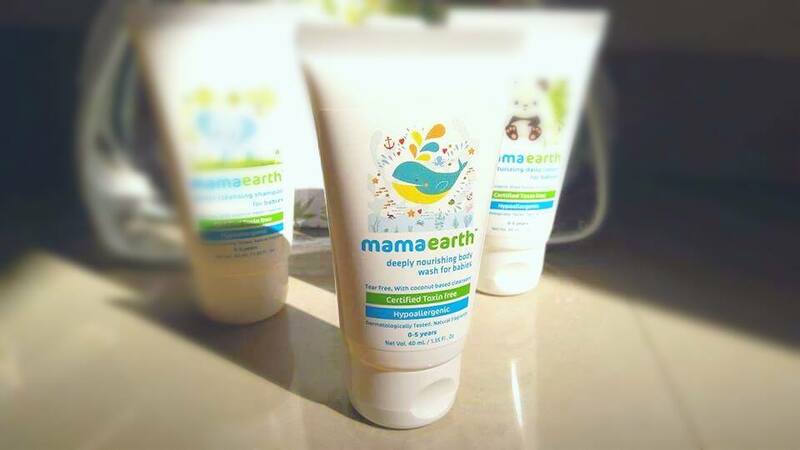 I am super impressed with this Asia's 1st Made Safe, Certified Brand of baby products. I’d also really recommend these as gifts for new/expecting moms. These products are brilliant for baby's delicate skin. Follow Beauty and Lifestyle Mantra on Facebook, Twitter, Bloglovin and Instagram so you don't miss a post! My first visit to your blog and surely a great and informal blog and well.